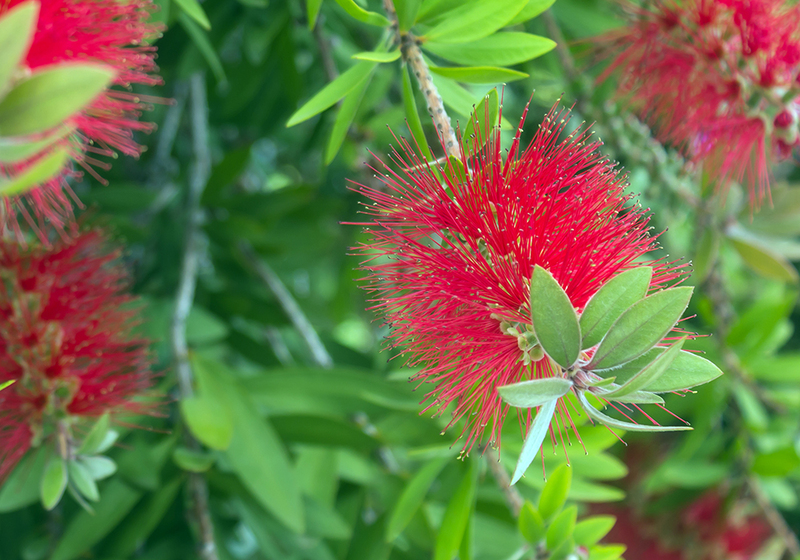 Red fluffy flowers of the Metrosideros excelsa. Puhutakawa tree. Selective focus.